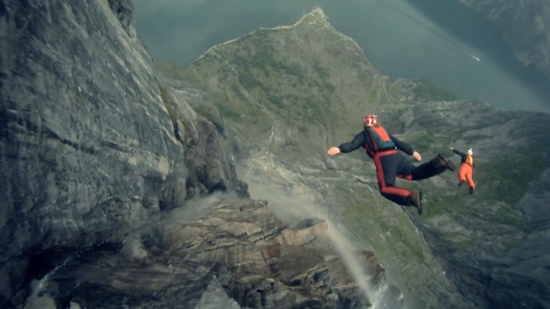 Experience Zero Gravity, a new video from InfinityList.com, shows a bunch of people base jumping from as high as 6000 feet in Norway, Switzerland and France. I really like this new trend of GoPro footage showing people what they could never experience. Some insane footage from Matthias Giraud and Stefan Laude skiing the French backcountry while escaping a large avalanche. All shot with the HD HERO camera from GoPro.